Over $200,000 in new ski and snowboard rental equipment each year lets you rent the latest and greatest in the snow sports industry. Offering a wide selection of winter and summer sports accessories and soft goods for every weather condition. 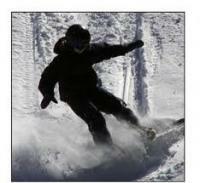 Alpine Sports has hats, gloves, helmets, goggles, and clothing for everyone. The ski service shop offers the NEW Wintersteiger Mercury for a world-class tune up, so get you don't waste valuable vacation time on slow skis or snowboard. Three convenient locations for rentals. Main retail store ocated in Breckenridge at the corner of Airport Road and North Park Avenue.